When Should I Go In For A Transplant? This is the most common question which doctors are asked by their patients. The age group of people asking this varies from 18 – 23 years of age for a hair transplant. Many times the youngsters don’t get anyone from their place along with them, because no on eating their place knows about their decision of having one. Doctors also say that they are asked questions about their future hair, like someone asked a doctor, how their hair would be when they reach 50 years of age? I mean how can possibly tell the rate of growth of hair, by merely looking at some reports or taking some tests, no amount of tests, can tell this thing. 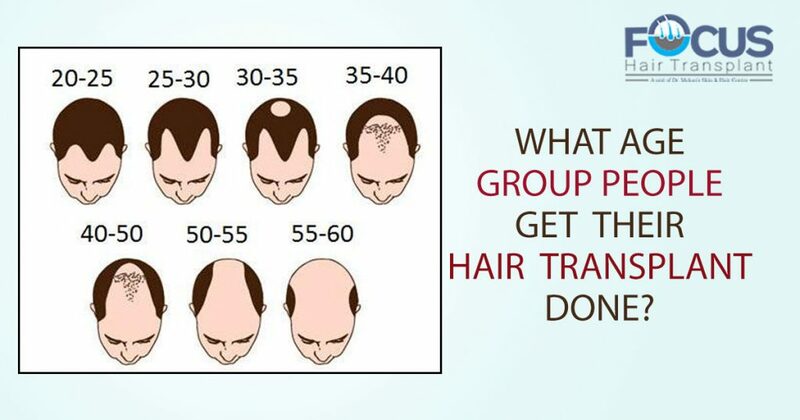 Though, it can be said that by the age of 19, till 21 years of age, hair loss is common, and also that by the time a man reaches 50 years of age, the balding becomes more prominent. What Is The Amount Of Hair Which Is Needed? A bald individual needs about 10,000 – 25,000 follicle units to cover the bald. They are more than 5,000 – 6,000 follicle units which are available for most of the men, so one can choose as to where to grow this hair. Many men ask for putting it in the front of the head. If any hair is left, then crown becomes another choice. Humans Have Limited Hair Covering Their Head. Had all of us been blessed with countless hair, the wouldn’t have the question of transplanting hair crop up. There wouldn’t have been remedies to hair loss treatment. But, then God has made us this way, we have limited hair covering our heads, which got through the process of hair loss, also. Humans are endowed with hair from 0 – 10,000 from the back of the scalp and also the front. Ill the person reaches 35- 40 years of age, it cannot be well said that one needs a transplant or not. Till 20 years of age also, it cannot be well said. The most important thing a man in his 20’s can do is decide for yourself, whether to go in for a surgery or not to do a surgery. In short, the doctors might suggest a 20-year-old to wait until some time to get treated and right now just think about improving the hair along with the scalp. Going for a transplant at 19 – 21 years of age, may work on improving the frontal density, especially in the early years of 20, but then one cannot ignore the precautions that the child of 20 years has to take, for some the look might not at all suit, so it’s all up to you whether to get it done or not. If someone wants healthy or good hair in his 30s or 50’s age group, then only one alternative remains that is of wait till the person is 30 years of age. Cost of Hair Transplant depends on a number of factors like location, the quality of products used, the doctor who is doing it. In case you have a good transplant, then it is all worth the money.